Here we go again - Canalys says Xiaomi shipped more phones in India during Q2, Counterpoint Research gives the win to Samsung. CR attributes Samsung’s success to the J-series phones – the Galaxy J2 and J8 alone account for 2 million sales (the J4 did well too). Another key part of Samsung strategy was launching more models than its competition. Samsung’s offline distribution channels helped push the company over the top and so did an aggressive marketing campaign centered on the Galaxy J phones. Counterpoint predicts that the second half of 2018 will remain a neck and neck race between Samsung and Xiaomi. The upcoming festive season will be interesting. 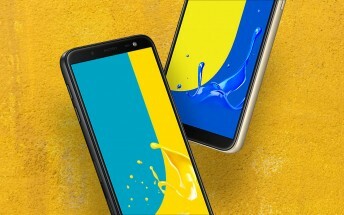 The Redmi 5A was the best selling phone, followed by the Redmi Note 5 Pro and Galaxy J6 (Canalys claimed that the Galaxy J2 Pro was Samsung’s best-selling phone in India). While not in the Top 5, OnePlus shipments grew a whopping 284% and the company dominated the premium (INR 30,000+) segment for the first time in its history. Two companies that did place in the Top 5 are vivo and Oppo. But they should watch out for feature phones and Jio especially. The feature phone market grew 21% year on year, outpacing the 18% growth of the smartphone market. Keep in mind that in terms of units shipped, feature and smartphones are about equal. Jio in particular went from essentially zero share in Q2 2017 to a whopping 47% in this year’s Q2. Samsung seems to be the big loser in the feature phone market, it went from 27% to 9%, but Itel and Lava lost out too. The only other top brand to grow was Nokia, its feature phones went from 3% to 8%.